Gravitator Electroscope - FREE SHIPPING! 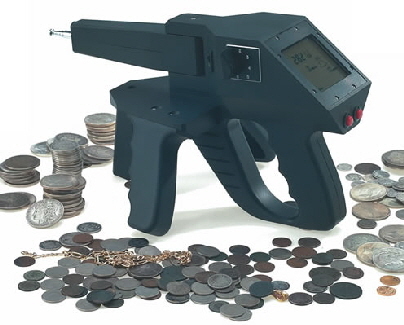 The Gravitator Electroscope Recovery System can accurately guide you to buried gold, silver, coins, jewelry and valuable artifacts. This high-tech, state-of-the-art locator enables you to leap into the future of long range detection systems. Its features allow you to carry away important information gathered at the treasure site, and is the leading tool at the start of any serious hunt. The Gravitator's revolutionary new compact design makes it easy to transport into the field.